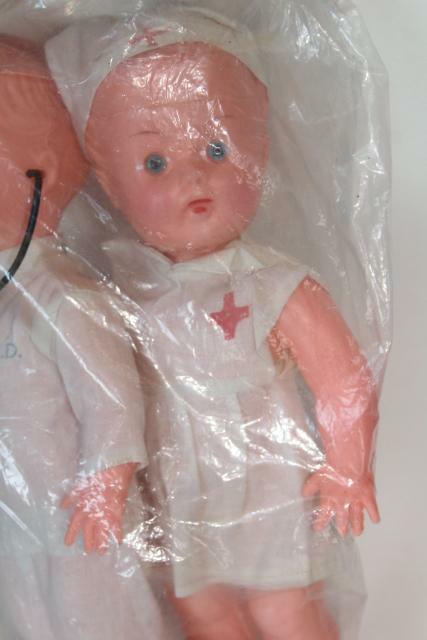 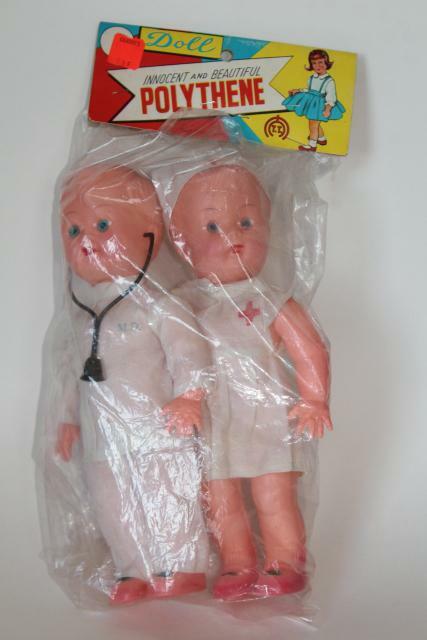 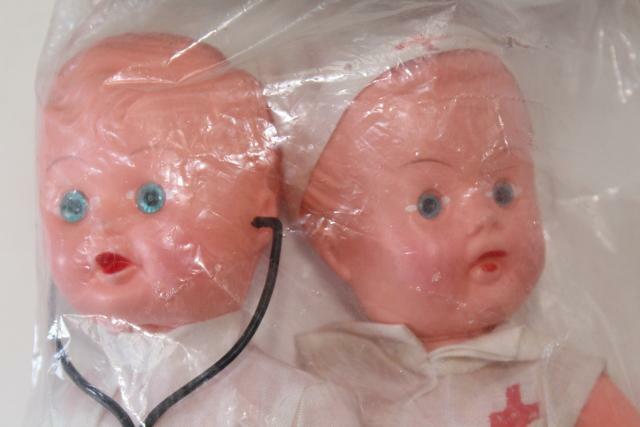 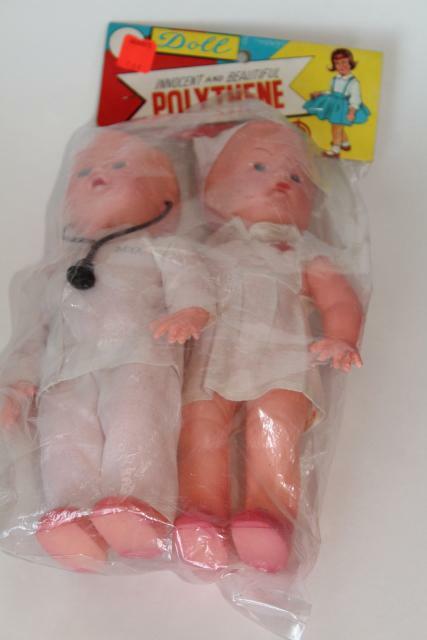 We think the original package on these vintage dolls is so cute and funny! 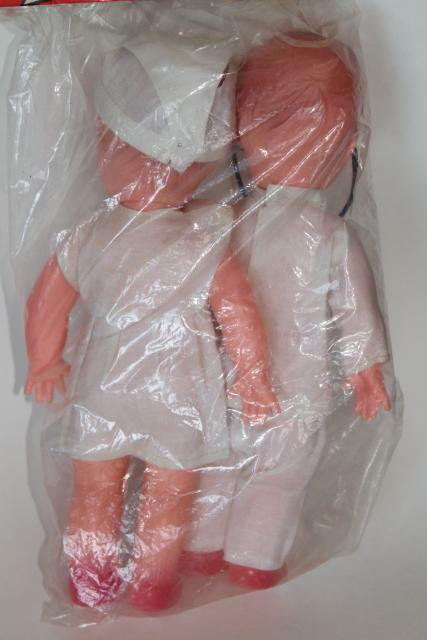 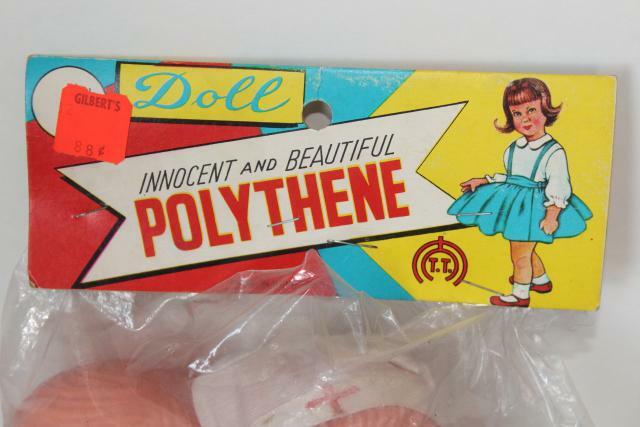 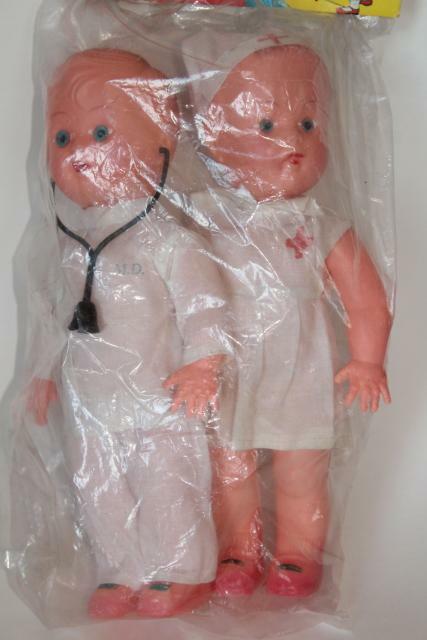 Innocent and Beautiful Polythene Dolls! 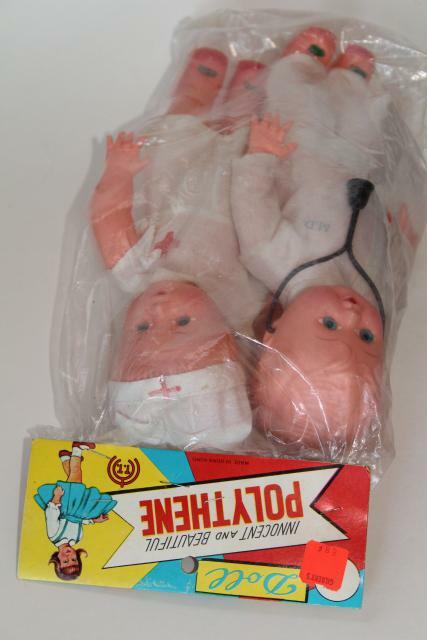 These are about 9 3/4" tall, a sort of a rubbery vinyl type plastic. 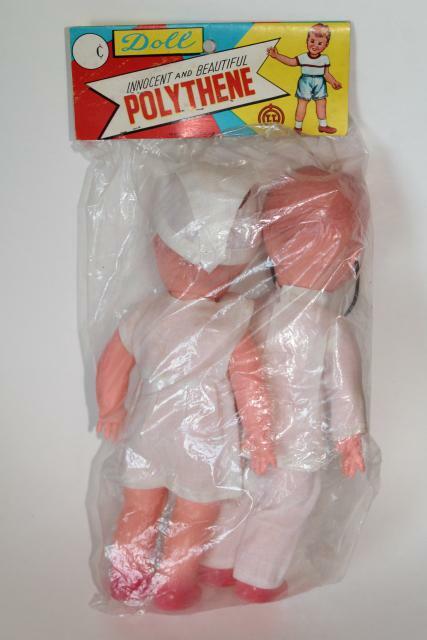 Dolls and the package label are all in very good clean condition.